The limitations period for breach of contract claims against contractors, architects and/or engineers related to improvements is governed by the breach of contract statute, MCL 600.5807(8), rather than the statute of repose, MCL 600 5839(1), the Michigan Supreme Court ruled in Miller-Davis Co. v. Ahrens Construction, Inc. In the case, the plaintiff, a general contractor, filed a breach of contract claim against the defendant, a subcontractor hired to rebuild the roof of a YMCA building in Battle Creek. The claim alleged that the defendant’s work didn’t meet specifications, a condition that wasn’t discovered until the roof was removed to repair it. The plaintiff didn’t allege any defective or unsafe condition, only that it wanted indemnification for having to fix the roof itself. The problem was that the claim was filed more than six years after the YMCA took occupancy. The statute of repose protects contractors from actions “to recover damages for any injury to property, real or personal, or for bodily injury or wrongful death arising out of the defective and unsafe condition of an improvement to real property. …” Under the statute, the limitations period expires six years after occupancy. Plaintiff said the statute didn’t apply because it was a breach of contract claim, so the statute of repose doesn’t apply. The two statutes each allow a six year limitation period, so what’s the difference, you ask? It’s when the clock starts ticking. A statute of repose claim accrues on the date of “occupancy of the completed improvement, use or acceptance of the improvement,” while the clock for a breach of contract claim starts on the day the claim accrues. The Supreme Court agreed with the plaintiff, essentially adopting a 6th U.S. Circuit Court of Appeals decision on the same issue in Garden City Osteopathic Hosp. v. HBE Corp. which used one of its own decisions, Huhtala v. Travelers Ins. Co., to arrive at its conclusion. The Huhtala court said an action founded on a “consensual” duty or breach of “express promise” isn’t a tort action, but a contract action. We agree that the language of the provision strongly supports the conclusion that MCL 600.5839 does not apply to a breach of contract claim for a defect in a building improvement. We conclude that the Legislature intended the provision to be limited to actions in tort. Thus, it does not apply to a claim against an engineer or contractor for a defect in an improvement when the nature and origin of the claim is the breach of a contract. 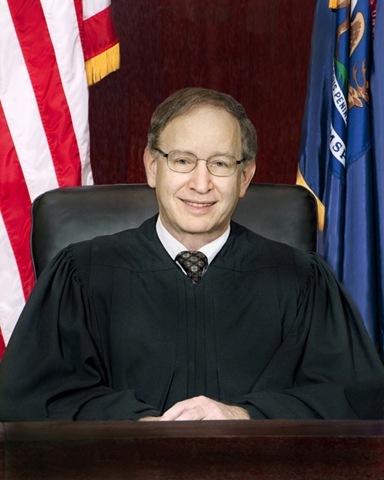 The court overruled the Court of Appeals’ 1992 decision in Michigan Millers Mut. Ins. Co. v. West Detroit Bldg Co. which found the opposite in dictum. By expanding the scope of MCL 600.5839 to contract actions, Michigan Millers blurred the critical distinction between third-party tort claims and contract claims between parties to an express contract. It expanded the applicability of the statute beyond any arguable legislative intent. Furthermore, its holding exceeded that necessary to resolve the issues involved. In sum, the Court of Appeals in this case relied on Michigan Millers for a proposition that is unsubstantiated. We overrule Michigan Millers and Travelers Ins Co. [v. Guardian Alarm, which relied upon Michigan Millers] because they are inconsistent with § 5839. Applying its interpretation of the statutes, it found the plaintiff’s claim didn’t fall under the statute of repose. There was no allegation that the roof deck system caused any “injury to property” or “bodily injury or wrongful death.” Nor was there any allegation of a “defective and unsafe condition.” Rather, plaintiff claimed that, because defendant failed to build the roof to the agreed-upon specifications, plaintiff was forced to expend money repairing it. Thus, the damages involved in this case were not to plaintiff’s person or property, but rather to its financial expectations. A claim for damages for deficiencies in an improvement is not an “action to recover damages for any injury to property . . . or for bodily injury or wrongful death . . . .” It is a suit for breach of contract. Here, there was a contract. Plaintiff did not rely on a duty implied in law, but solely on the terms of the contract. Thus, defendant’s obligation to plaintiff arose out of the contract. Because plaintiff claimed that defendant breached the contract that defendant and plaintiff entered into, the six-year period of limitations for contract actions, MCL 600.5807(8), applies in this case. • The Hon. 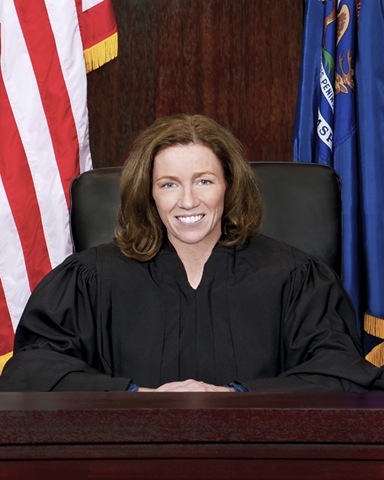 Avern Cohn of the U.S. District Court for the Eastern District of Michigan will speak at Wayne State University Law School’s annual commencement ceremony. Cohn also will receive an honorary doctor of laws degree at the ceremony, which takes place 5 p.m. May 16 at the Max M. Fisher Music Center in Detroit. “I am deeply honored to join the past recipients of an honorary degree from the Law School, to wit: Eugene Driker, Dennis Archer, Maura D. Corrigan, Marilyn Kelly and Harold Koh,” Cohn said. Admission to the commencement is by ticket only. For more information, contact the Law School’s Dean of Students Office at (313) 577-3997 or lawdso@wayne.edu. • Former nine-term Congressman Bart Stupak, D-Michigan, who played a lead role in passage of the landmark health care legislation of 2010, has joined Venable LLP as a Legislative and Government Affairs partner in the firm’s Washington office. Stupak was a senior member of the House Energy and Commerce Committee and Chairman of its subcommittee on Oversight and Investigations. A former police officer and Michigan state trooper, Stupak became one of the leading congressional voices on law enforcement issues: in 1994 he created the first law enforcement caucus in Congress and went on to help write and pass substantial legislation to support law enforcement professionals. • A ribbon-cutting ceremony to open the Crime Victims Rights Exhibit at the Michigan Supreme Court Learning Center in Lansing is this coming Wednesday, April 13, at 3 p.m.
Chief Justice Robert P. Young Jr., Sen. Tonya Schuitmaker, former state legislator Senator Bill Van Regenmorter (author and proponent of Michigan’s Crime Victims Rights Act), and Attorney General Bill Schuette are scheduled to speak. The Prosecuting Attorneys Association of Michigan is co-sponsoring the event. The educational exhibit is a tribute to crime victims and those who advocate for them. It will feature four panels, the exhibit educates the viewer about the act, and its meaning for crime victims, through interactive educational games. • Know a great young attorney who has made great strides in his or her career? Then the Young Lawyers Section of the State Bar of Michigan wants to know more. The section is now accepting nominations for the 2011 Regeana Myrick Outstanding Young Lawyer Award. All nominations must be received by May 6. The recipient of the award will be chosen by the SBM-YLS Outstanding Young Lawyer Award Subcommittee, and will notified by May 13. The award will be presented during the Fourth Annual YLS Summit on Saturday, May 21, at the Amway Grand Plaza Hotel in Grand Rapids. In 1997, the Young Lawyers Section renamed its Outstanding Young Lawyer Award in honor of Regeana Myrick, an executive council member of the section who passed away in August of that year. For more information, contact Brandy Y. Robinson at byrobinson@gmail.com.